Like a lot of people, I’ve got a couple of tattoos that didn’t turn out as well as I hoped, and that’s putting it generously. But a new app could save folks from seeking out cover-ups or painful laser surgery by showing them what a design will look like after it’s complete. 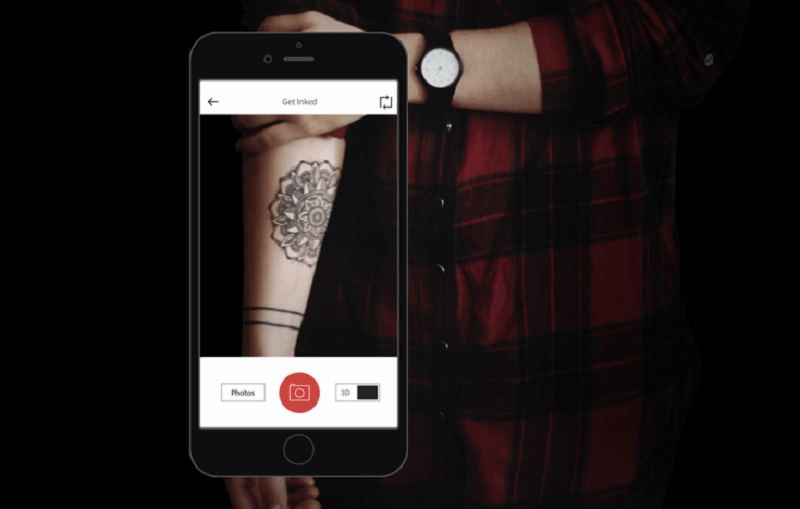 InkHunter uses augmented reality to overlay a tattoo onto a body’s surface area. You can select from a series of designs by different artists that are included in the app, or you can upload your own sketches to see how they’ll look on your skin. The process works by asking the user to draw three straight lines to form a face (called a square smile) on the part of their body where they’re considering getting a tattoo. When viewed through a smartphone’s screen, these three marks will appear as the selected tattoo, and can be viewed from all angles. You can also take photos of the AR tattoo and show friends to get their opinions. "Under the hood we developed three algorithms to make it possible," explained InkHunter CEO Oleksandra Rohachova to the Daily Dot. These create a transparent image from the black and white one, recognize the smile on the skin, and overlay the tattoo in the mark’s location. The app is the product of a 48-hour hackathon that took place in July 2014. Originally built by a team of software engineers from Karazina University in Ukraine, a beta version of the fully-fledged app launched last year, but this new release improves the algorithms and overall user experience. The free app is only available for iOS right now, but the company is working on bringing it to Android and Windows Phones. It’s being improved all the time to take into account factors such as lighting and veins. Future updates will also support color tattoos and add designs from more artists.